One of the smaller frustrations that I've experienced in Twitter for iPad 3.2 is how it continues to show more information of a single tweet when you click on it - then that tweet is *always* selected. 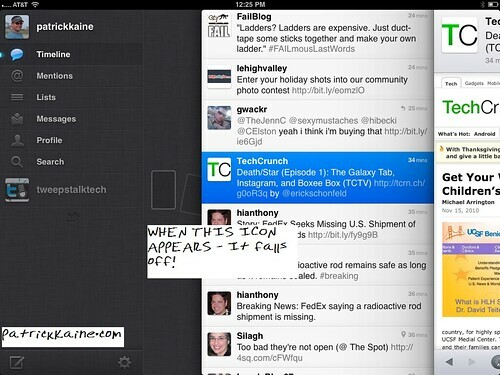 A few workarounds I used were to click the @Mentions and then back to the Timeline which did unselect the tweet. 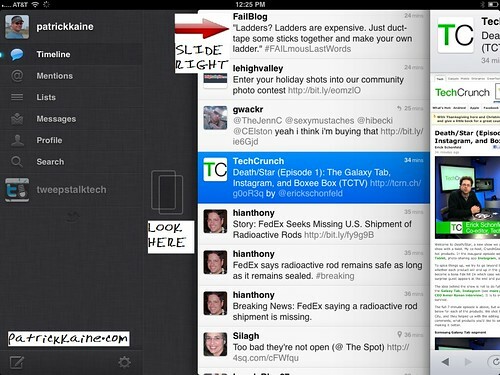 However in this never version of Twitter for iPad, for some reason - that took longer than in the previous version. Then today - I accidentally discovered how to do it! Yes, you can unselect a tweet using the software. If you like technology, you may be interested to know that I'm the co-host of Tweeps Talk Tech, I'm on Twitter, and "I read the entire internet so you don't have to.®"